October 21, 2015 October 14, 2015 Amanda B.
I introduced three new literacy centers this week, and they were such a hit I had to share them with you. Disclaimer: None of these were my original ideas! I will provide links to the original creators of these great centers. This was a great idea from Playdough to Plato. I did not make the pumpkin spice salt tray, but I made the sight word pumpkin. 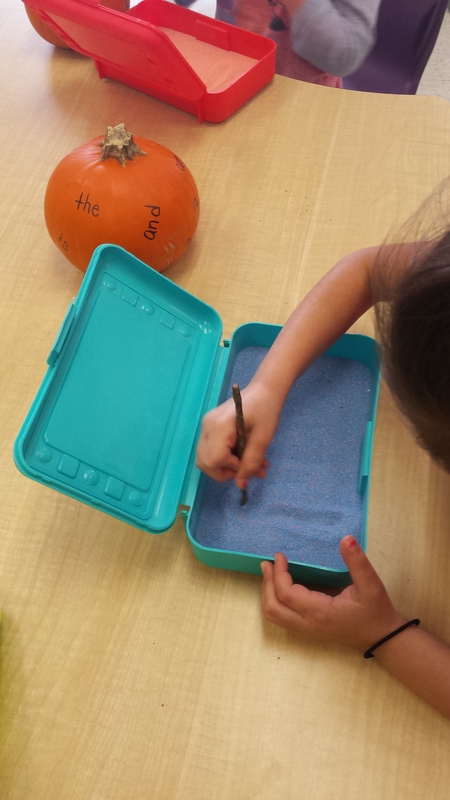 The students loved spinning the pumpkin around to try and find all the sight words to write in the sand! This center was busy and always full. 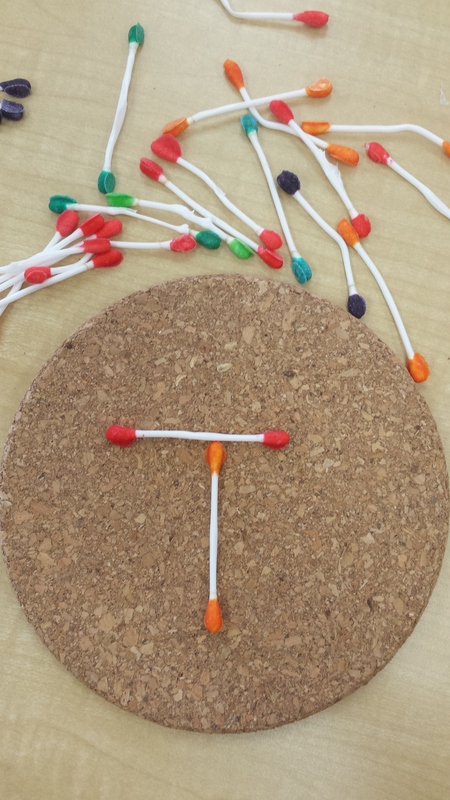 These coloured q-tips were a great idea courtesy of Sugar Aunts. I only have one small suggestion: buy q-tips made with cardboard, not plastic (like I did). When I put them in the oven, they melted and became crooked. That’s what happens when you try to get things done after a long day! These Highway Letter Cards were a huge success. I got them over Making Learning Fun. 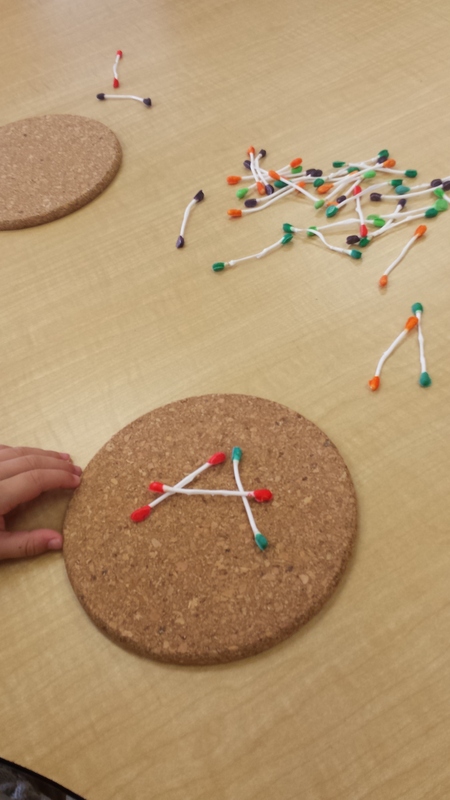 They have all the lower and uppercase letters, numbers and shapes! All for free. Fantastic! 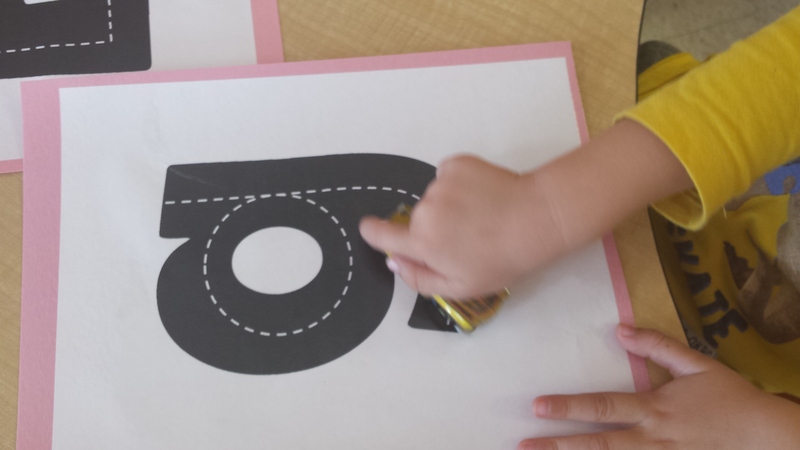 Do you have any literacy centers that were a big hit? I would love to hear about them!